Dr. George F. Dobo graduated from Emory University School of Medicine in the top of his class. 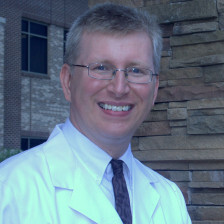 He completed a dermatology residency at Medical University of South Carolina and an internship at Emory University. Dr. Dobo served as Chief Resident of dermatology at Medical University of South Carolina from 2001 to 2002 and earned the honorary title of Outstanding Teaching Resident at Emory University in 1998. He is a Fellow of the American Academy of Dermatology and a member of the American Medical Association and the American Society of Dermatologic Surgery. Dr. Dobo is married for over 20 years to his college sweetheart, Michelle- a dentist, and has three beautiful children, Ellen, Allison and Scott.